As of 2014 mobile users have surpassed desktop users and according to google adwords blog published on May 2015, mobile searches have increased. So with the increase in mobile searches, it is safe to assume that at least half of your website traffic is coming from mobile searches including tables (most tablets are categorised as mobile devices). In fact just to prove that I am right, here is a google analytics screenshot of one of our client website for last month. As you can see desktop searches are 20,526 and mobile plus tablet searches are 21,482, which is just edging desktop. 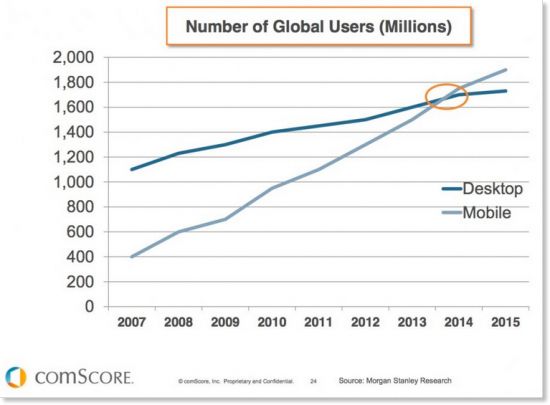 This data might be different in another niche but it will be more or less same so now we need to cater for mobiles. As much as we love mobile apps, not every company has a budget or resources to make a web app. We make our websites responsive or create a mobile version so we are not losing any sales. As already discussed in web trends to follow for better seo in 2016, viewport meta tag is used to control how your website is displayed in the mobile browser. This tag was used in old palm mobile devices so if your website is still accessed by old devices you may wish to use this to tell browser that your content is mobile friendly. Windows mobile tag used for IE so if your website is still accessed by old browsers, you could use this. Content tag should be set to a width in numbers i.e 176, 240 or 480 etc. Note: If width set is less or equal to the screen width fit-to-screen will be turned off so this width will be used. If width set is larger than screen then the fit-to-screen will be on so your content fits the screen. Content = can be set to number of seconds. Don’t really use this unless you have to because this will annoy users. You can use it in scenarios such as if they are in-active for x number of seconds then prompt them that they will be logged out. Used by apple iOS 2.1 and later, this specifies if website runs in full screen mode. This meta tag only works if full-screen mode is defined and it will change the look of status bar. Content property can be “default”, “black”, or “black-translucent”. By default iOS detects phone numbers on the webpage and make them click-able to call. Specify above meta tag to disable this feature. When adding your website to iOS home screen, the title tag is normally used as the icons name but you can use this tag to specify your own icon name. Pretty useful! To set the colour and background image if someone pins a website on windows 8 home screen. This one is interesting. Latest windows users can pin your websites to the start menu on their mobiles. Use above tags to keep the pinned website tiles updated without even users going on to your websites. As many designers know with html5 you get numeric keyboard if your input type is number but in iOS you don’t get it. The way around is to add pattern=”[0-9]*” to the input type. This is not documented properly anywhere so normally developers use “datetime” and don’t get calendar in mobile devices. Use this tag with any div, table or ul element to make it editable. When use selects the content, he will get options to edit and style the content i.e bold, italic, underline. If width is exactly 600 then background is black. You can use a combination of CSS properties to set different rules for different screen sizes. Use -webkit-text-size-adjust: none; to prevent mobiles from automatically resizing your text. “auto” can be used for regular scrolling when content stops as soon as your remove your finger from screen. “touch” where content continues to scroll for a bit even after removing the finger. Used in iOS, this gives the colour overlay when the user taps on a link. To disable this just set the value to ‘transparent’ or rgba(0,0,0,0) or give it any colour value. Set to “none” if you don’t want user to get the toolbar which normally appears when user keep their finger on any item for a bit. media=”handheld” tells the device to load this CSS for mobile only websites. Some devices will give preference to media=”screen” if both are mentioned such as windows mobile. The way around is to use media=”Screen” with capital S.
Splash screen is the screen which is momentarily shown while the website/app is loading. It is just like we have pre-loaders in flash websites for flash. Use below in head section to use your own image for the splash screen. Modernizr can easily be used with CSS by defining a “normal class” and “no normal class” so let’s say you have a CSS3 property which is not supported in old browsers, you could define it like “.class” for supporting browsers and “.no-class” for non-supporting browsers. Touchswipe is very useful for mobiles. You can detect swipes, up, down, left and right, pinches in and out, single and double finger tap, and many more events. 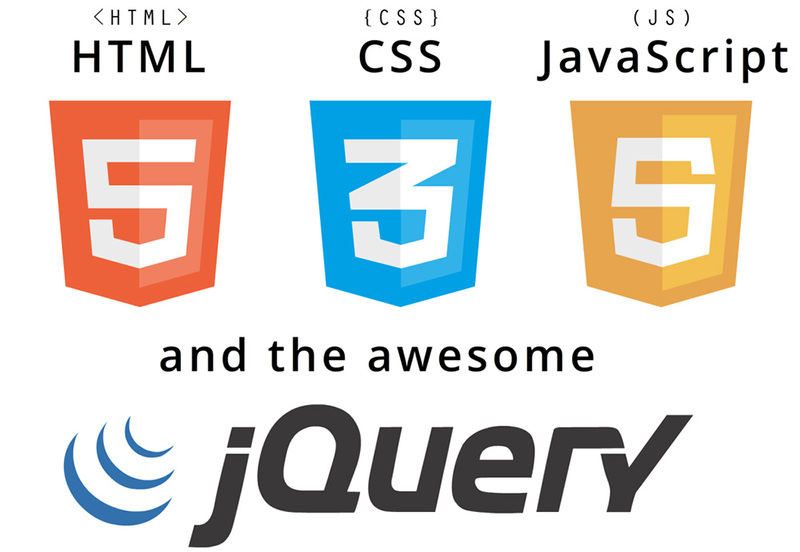 As they like to call it touch-optimized web framework, most designers know about jQuery mobile. Ionic is a beautiful, open source front-end SDK for developing hybrid mobile apps with web technologies. Free and open source, Ionic offers a library of mobile-optimized HTML, CSS and JS CSS components, gestures, and tools for building highly interactive apps. Mobile Angular UI is a mobile UI framework just like jQuery Mobile. Mobile Angular UI provides essential mobile components that are missing in Bootstrap 3: switches, overlays, sidebars, scrollable areas, absolute positioned top and bottom navbars that don’t bounce on scroll. It takes a different approach than other frameworks by shipping just the code needed for each device. That means, there’s less code going over the wire, less code branching at runtime and less memory usage. All widgets are open source and free to use under Apache License 2.0, a commercial friendly license. Yep this is the name of the framework. Truck helps you make mobile apps using standard web technologies. It provides layouts, widgets, touch gestures, data filtering, data binding and more. Wakanda integrates the open source libraries and frameworks that you are already using such as Angular, Ionic and Cordova.